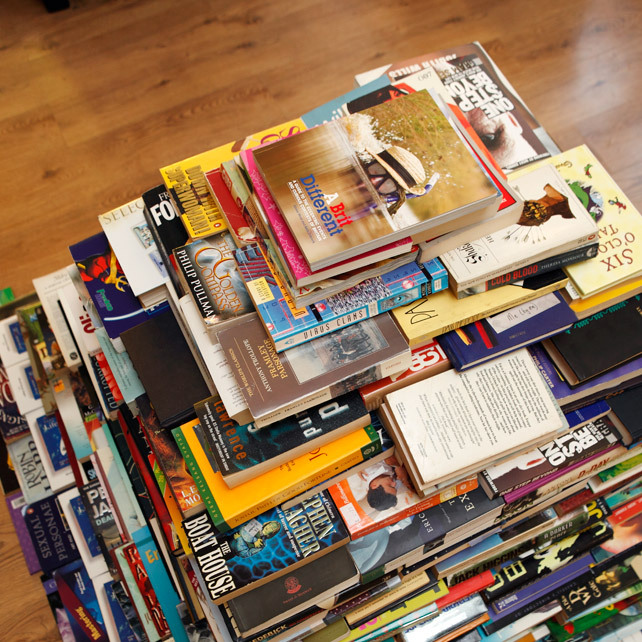 This weekend saw the organisers of Brighton Bookstock kick it all off by attempting to break a world record, by creating the World’s Largest Book Pyramid. Unfortunately they didn’t manage it, the record stands at 1,500 books, and they only had 900. It was a great first attempt though, and everyone had a fun time in the process. Built in Add The Colour cafe on North Street on Saturday, the public brought in all their unwanted books, a dazzling selection, from old text books, fiction, non-fiction, some almost new and others with covers falling off, and pages cut out. They all went in to make up the meter or so high finished pyramid that was topped off with a copy of ‘A Brit Different’. It was remarkably sturdy and a testament to the skill of those building it. It was a shame really that coach loads of visitors to Brighton couldn’t see this wonder of the world, as it only stood until Sunday morning, when those who constructed it then proceeded to take it down, one book at a time, in a massive game of ‘book-pyramid jenga’. It’s destruction was as satisfying as its construction, and I can let you know that it was a hardback copy of ‘Edge of Danger’ by Jack Higgins which was it’s downfall. So, what of the books? Some will go to charities like Oxfam, Amnesty, and Books for Africa, some will be going to run paper-making courses and turned into Bookstock notebooks, while the rest will be saved until next year when a second record breaking attempt will be made. 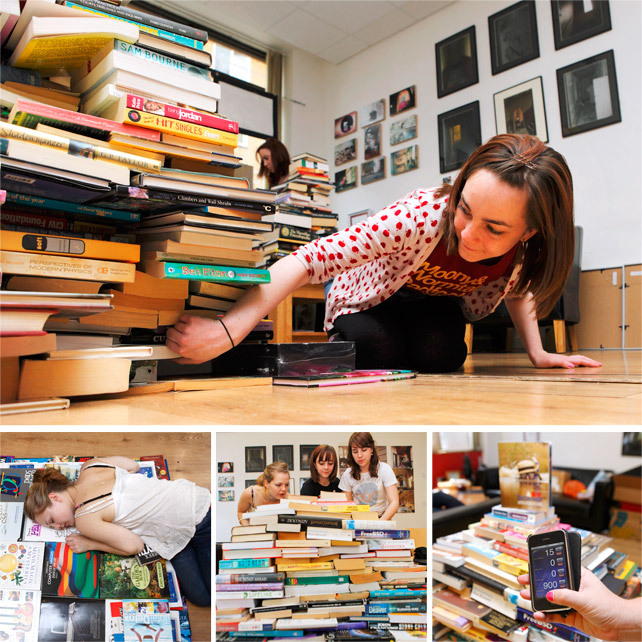 So don’t go throwing away your unwanted books, keep them stashed somewhere safe and let’s thrash that record! « Outdoors Books of the Year – Winner! !